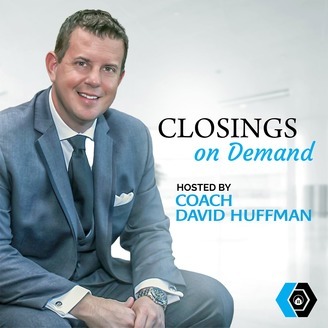 Closings on Demand with David Huffman teaches real estate agents the systems, lead generators and time management techniques proven to work in today’s market. This podcast is about teaching agents a modern-day way that our clients are using to close 10+ transactions a month consistently. David used this exact process throughout his 16 years in the business to close over 100 transactions a year and over 1,200 homes himself. If you want to learn how to sell more houses and in less time then be sure to subscribe. 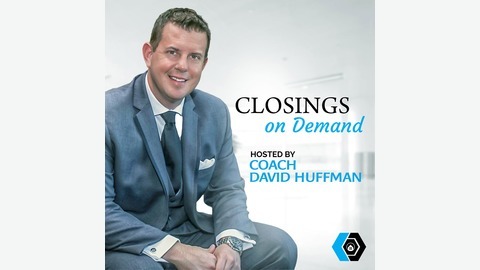 Welcome back to the Closings On Demand Podcast, where we are really serious about getting you access to the best real estate coaching so that you can be closing deals all the time! Today we’re discussing the process we take our students through and the reason they are getting such great results.